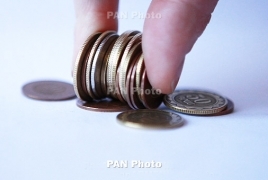 PanARMENIAN.Net - Business Armenia announced on Friday, February 1 that it has submitted its activity report of 2018 to the board of trustees. The foundation secured export contracts worth record breaking AMD 6.8 billion (apx $13.9 million), last year. For a single 1 dram spent, 26.4 drams were received. With the support of Business Armenia, 116 Armenian companies participated in 10 international exhibitions, finding major international buyers. In 2018, the index of (re)investments also improved: around $21.1 million against the last year’s $15 million and $0 of the year before. Business Armenia team met with nearly 392 potential investors last year for conferences, outreach campaigns, business events, signing memoranda of understanding on investment of $350 million as a result. Among the foreign investors are New Yidea, ARGA-EuroSteel, Ghalburjian Group, Arad, Atlas Global, Ecotekhprom, Mataluskaupa Online OA, VHL Development. “At the end of the year, a new system service called One Window, which has also expanded the scope of Business Armenia's support, was implemented. From now on, the foundation will double its efforts in IT, renewable energy, and other sectors of the economy" stated Armen Avak Avakian, the CEO of Business Armenia Foundation in 2017-2018.
Business Armenia team also provided support with the organizational works of the events of Francophonie Economic Forum on October 10, 2018, and the EAEU biggest annual business event Eurasian Week, on October 22-24. The National Statistical Service revealed earlier that in 2018 the country set a new record by selling even more products overseas.